“‘Moti bhaag gayee’ (the fat girl ran away) said my P.E. teacher when I asked him to excuse me for a washroom break,” remembers MBBS student Zehra Husayn. She was only eight years old at the time and those words stung. The incident marked a turning point in Zehra's life. She filed a complaint against the teacher, a first step in a journey of self-acceptance, of believing that there is nothing to be ashamed of in her body. Body image, or how a person perceives their body and the way it appears to others, is largely shaped by what we see is acceptable around us. Our beauty standards are influenced by the barrage of images and messages we absorb through mass media. Thin women dominate TV screens, Instagram feeds and fashion spreads all over the world including Pakistan, perpetuating the notion that only thin should be seen as beautiful. This narrow perception of beauty leads to feelings of inadequacy among people judged to be fat or overweight as well as the common practice of humiliating them for their size. While the west is slowly growing sensitised to issues like fat shaming, it’s obvious that Pakistan has a lot of progress left to make. She hopes PSP will help other women make the same mental and emotional journey. 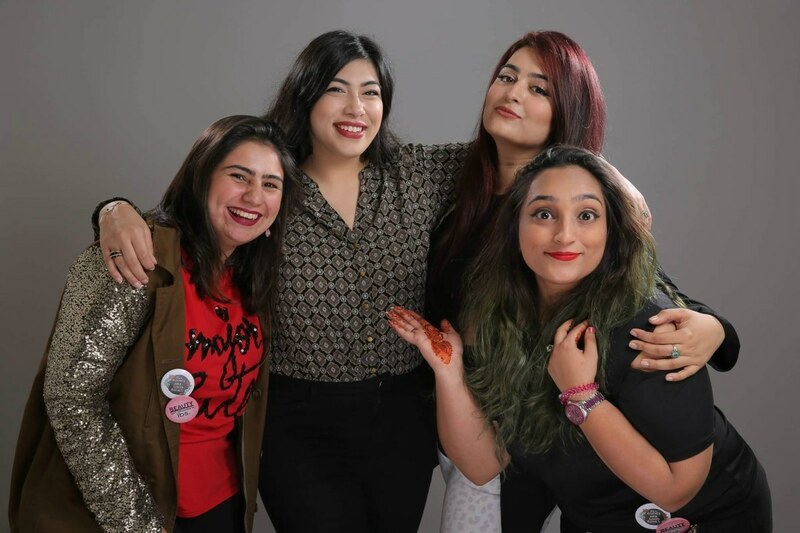 Currently comprising a membership of about 1200 women or so, PSP is a “highly exclusive” Facebook group that is intended to be a body-positive platform for plus size Pakistani women to collectively nurture their confidence and resolve their body image issues — all while keeping their struggles confidential. “The struggles of a plus-size person can be better understood by people in the same boat. Many of my plus-size friends aren't happy with their bodies. Since attitudes are contagious, this group changes that by encouraging women to accept and love themselves,” says PSP member Yumna Sadiq. The media’s concept of an ideal woman isn’t stagnant. Over the years we can see drastic changes in the most loved female body shape; from the figure 8 in the early 1900s achieved by the never-ending struggle with a corset to the hourglass figure in the mid 1900s to the latest bootylicious bod a.k.a the Kim Kardashian trend. Rabiya Mumtaz, a registered UK-CPCAB (Counselling and Psychotherapy Central Awarding Body) mental health counsellor, has identified that overweight girls tend to get bullied and fat-shamed without a second thought to how impressionable their age is. “A lot of fat shaming starts at home within families,” Rabiya tells Images, based on her client experiences. This is where children can develop low self-esteem and anxiety, and the signs can be seen in their posture, like a slouch or folding their arms in front to cover their body, she shares. This trickles down into the child feeling ‘not good enough’ and the consequent drop in self-esteem. Fashion blogger Hadiyya Javed thinks she is a living example of just how false these misconceptions are. Even though she is a plus size woman, she claims to be very active, “When I wasn’t married people pointed out my weight. I got married and had a healthy baby soon after,” shares Hadiyya. The enormous pressure to live up to the beauty standards is not only damaging to one’s mental well-being but also physical health. The fear of gaining weight has led to the popularity of many restrictive diets that cause nutritional deficiencies and other health problems. Muneeza Khan fought with an eating disorder for some years while she was trying to lose weight. It was only after her health started deteriorating that she realised her mental and physical health was more important than her physique, “I became anaemic and had a severe vitamin D deficiency, which I am still coping with,” she said. Fareeha Jay, a dietician based in the UK, emphasises that plus size people aren’t unhealthy by default. Regular sized people can also be extremely unhealthy due to reasons ranging from nutritional deficiencies and lack of exercise to underlying health conditions. Fareeha asserts that the rules made by a society where people are put in categories of plus sized and regular sized based on their weight is in no way an indicator of a person's state of health, “There is no such thing as a perfect body”. 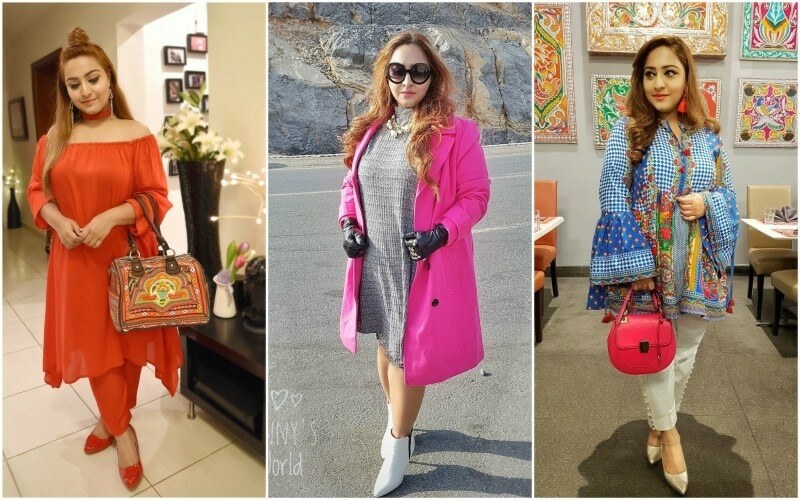 Lahore-based fashion blogger Hadiyya Javed says she started blogging because she saw the dearth of plus-sized models in the fashion industry. She agrees that the fashion industry currently does not cater to the needs of the average Pakistani women, “No designer or brand caters to the a wide enough range of sizes,” she affirms. She also maintains that no fashion/style magazine features curvier models or public figures as style icons in their editions, “Can’t heavy girls be fashionable or stylish?” she asks. Explore: Are Parineeti's fake 6-pack abs a new way of body shaming? In the process of over-thinking what one would look like in a particular outfit we forget the major question, “What do I want to wear? “The clothes we put on our backs tell a story, about which we are, our fantasies, our dreams and our eccentricities,” maintains Khadija Rehman, Creative Director at Generation. Interestingly the idea for the campaign originated from a social media query, 'Who wears these clothes? Research revealed that their customer profiles were diverse, ranging from friends to strangers, teen to the elderly, some of whom signed on to become the 'Faces of Generation'.The campaign eventually featured 20 non-models for the range of sizes from 6 to 16. Amina modelled for Generation recently but they never labelled her as a plus size as she modelled for their regular size range i.e. size 14, while plus sizes are considered size 18 and above. “It just the industry’s viewpoint of what is regular size is so narrow that it considers anyone over size 10 plus size and that is incredibly unfortunate,” said Amina who was approached by a friend to model for Generation’s campaign. 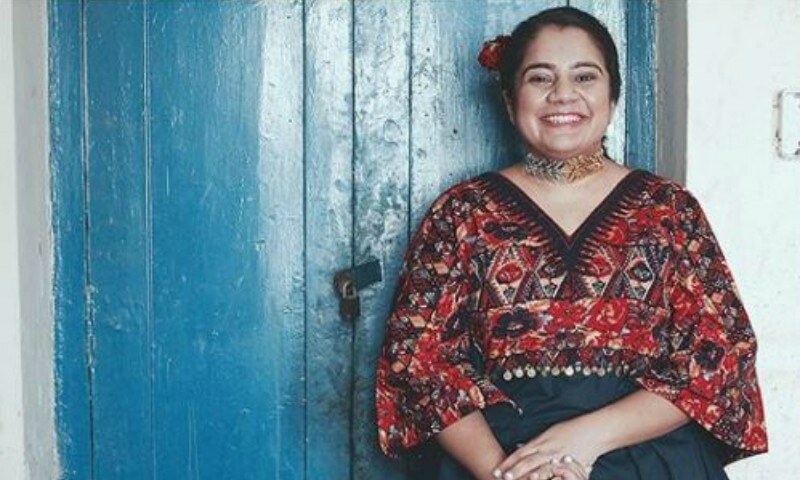 With a love for dance and ghararas and with a deep-rooted sense of confidence about her physique, Amina too grew up being body shamed but realised that the problem is not hers, “I’ve wasted a lot of time mulling over the way I looked and my size and it stemmed from all aspects of my life,” she said. Generation claims that as a retailer they are offering the biggest size set to the Pakistani customer, size from 6 to 16. From the large seam allowances to loose easy to wear silhouettes, they feel their larger sizes have existed since forever. “I realised plus size acceptance is neither a movement to eat whatever you want nor is it about placing restrictions. It’s about being kind to your body and realising you are not defined by the size of your waist,” Amina echoes the thoughts of the many women who feel excluded from the society. “Women approach me all the time, telling me how I've inspired them to get out of their shells. Sadly, I'm an exception with a handful of others,” said Faiza Saleem. These few emerging bloggers, celebrities and icons embracing their curves are willing to be the change we never thought we needed and are putting haters to shame. I LOVE THIS. You ladies are amazing and I hope more people are inspired by you. I know I am. Great article. Confidence is all that matters. Would like to point out that Jeeto Pakistan, a popular Game Show ...the host calls out on 'Moti Moti Auntiyan' and puts them on weighing scale and the awards the heaviest much to amusement and jeering of the crowd. Can someone put a stop to this. please? Moti bhaag gayee’ (the fat girl ran away) said my P.E. teacher when I asked him to excuse me for a washroom break,” remembers MBBS student Zehra Husayn. She was only eight years old at the time and those words stung. The PE "teacher" should have been kicked out of his job, at the very least. A simple request, could the stores make more over 18 or even larger sizes. A lot of women would love to walk into a store and be able to buy what they like. Me in particular. Always, being told by the store ladies that 'unstitched is taraf hai' puts me off. This is encouraging bad eating habits and lifestyle. Freedom to choose is all fine and dandy but should not come at the cost of health. The left wing needs to come back to the real world, where facts are the fact of life. @Qazi Thats not the point , point is acceptability without being rude and harsh. Great article. Just a note though, that Karachi based designer Samar Mehdi has been doing a plus sized line called 'Plus by Samar Mehdi' for a few years now. Actor Sharmeen Taiyyab is the brand ambassador and Faiza Saleem is also a client and work the line on the ref carpet. I appreciate and I always respect women regardless of their physical shape. What do you say about men (Plus size men), in my observation most of the women don't like plus size males. Plus size men are suffering more than women I suppose. 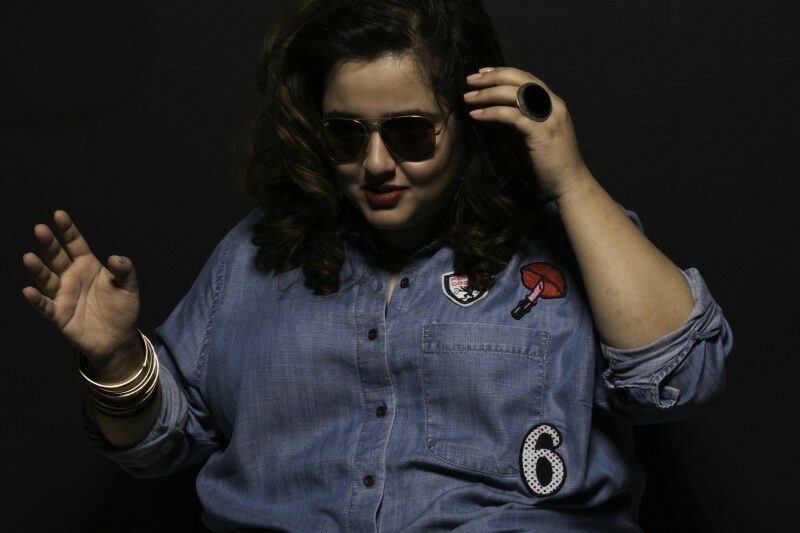 @sabina khan apart from being a body positive empire - XERA is pakistan's first plus size high street brand you may check the page out on facebook! Plus size movement is fine but it should not become a forum to golrify bad eating habits and being a proud obese. I LOVED the article. You guys are doing a great job and the way you are doing it commendable. Honestly, the title makes it sound like their existence was in doubt. Ladies, eat healthy, exercise and you should never have to worry about your weight. For people in Pakistan, please do all work yourself and that means letting go of your "servants" etc. and you will see the difference within a few weeks. Eating unhealthy food and large quantities of that and sitting all day will result in weight gain. Period. Kudos !! u girls made my day Indeed it was worth reading keep.it up!! Watch the movie, "a beautiful mind" it will change your concept of a lady. World is beyond "Rambo" and Rocky. Pakistan is a country that majority of people do not get health care. Over weight ,obesity should not be the issues with working class ,and poor , but it does exist. It is hard to maintain weight, but this should be the goal! Obesity , leads to DM, and heat disease , best to control weight ,then to get these chronic diseases! Good comment. Traditionally, from the ancient times (see the statuettes of Mohenjodaro and Gandhara culture) down to the 1970s and 1980s, the South Asian subcontinent had no problem with large, buxom women. This recent trend has emerged as we have submitted to foreign standards and notions of beauty, over the past 20-30 years only. The globalization phenomenon and rapid proliferation of the Internet have helped erode many positive cultural values we once had. There is no excuse to bully overweight people or look down upon them. That being said i find it distrubing that being overweight is increasingly being viewed as ok. Its not ok medically. Long exposure to obesity can lead to diabetes, heart issues, lung problems etc. We should not make fun of people with obesity but we should also not think its ok or promote an obese lifestyle. Exercise, a balance diet and low sugar intake should be encouraged so people can lose weight and lead a better quality of life. we have no right to judge anyone on a certain criteria. Beautifully put together ! I am proud of you. Keep up the good job, as long as one eat healthy , do three times at least some sort of cardio exercise, jogging, walking, treadmill , yoga, Zumba, simple dance at home, you name it and you really can do most of the exercise in your own comfert zone at your home, you really don’t need to look for expensive Gym . Yes you can if you want to. My personal goal to lose weight keeping in mind that when I will die, I should not be too heavy so other 5 women who give me bath will dress me up and will finally put me in the final Carrear . Should not hurt them and they should transport me from one place to other in gently. Well I can go on but I must stop here by saying stay healthy happy and wealthy in this dunya and Akhra Ameen. A woman should be two things....classy and fabulous! I believe a real woman should have curves and these women have everything a gentleman prefers...the class, the style, the smile and the confidence!